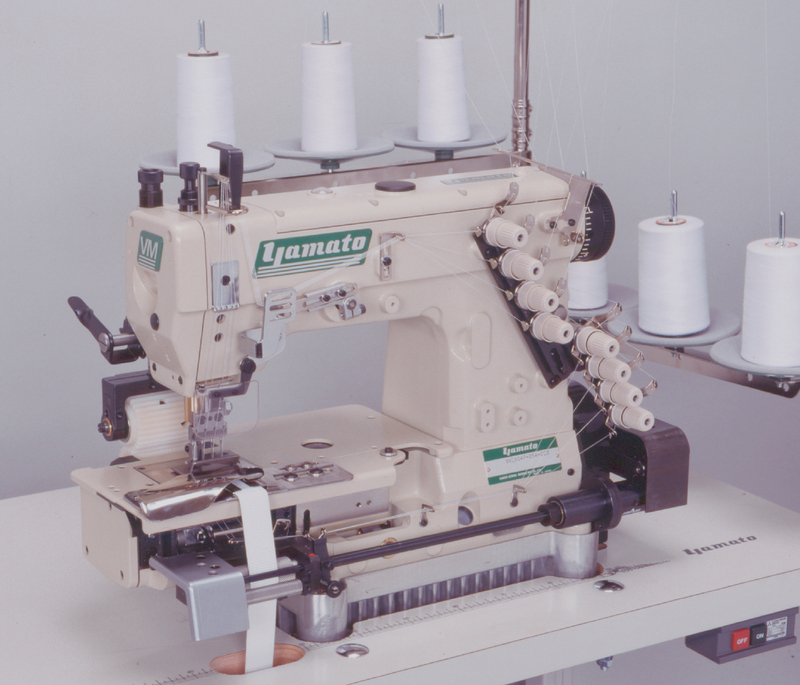 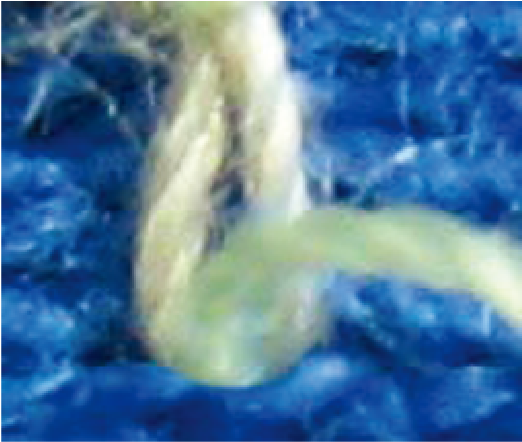 Double-Chain Stitch Machines | Products | Yamato Sewing Machine Mfg. 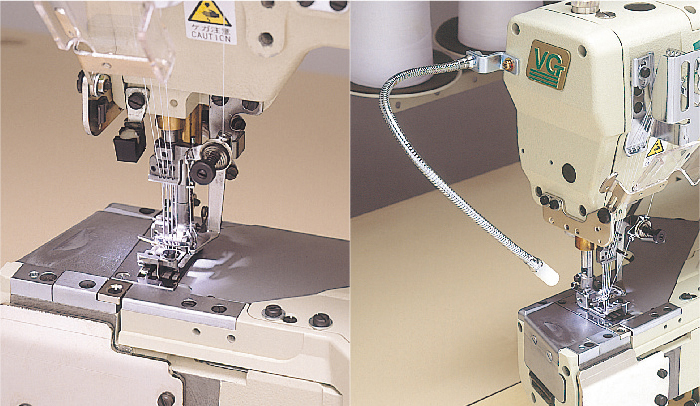 Co., Ltd.
VC2840P, VC2845P & VC3845P are Multi Needle Machines with Puller for Inserting (attaching) Elastic tape. 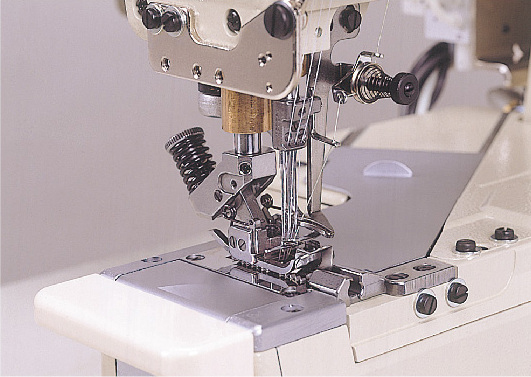 These cylinder bed shape multi needle machine ensure, with speed and ease, firm and beautiful inserting (attaching) of elastic tape. 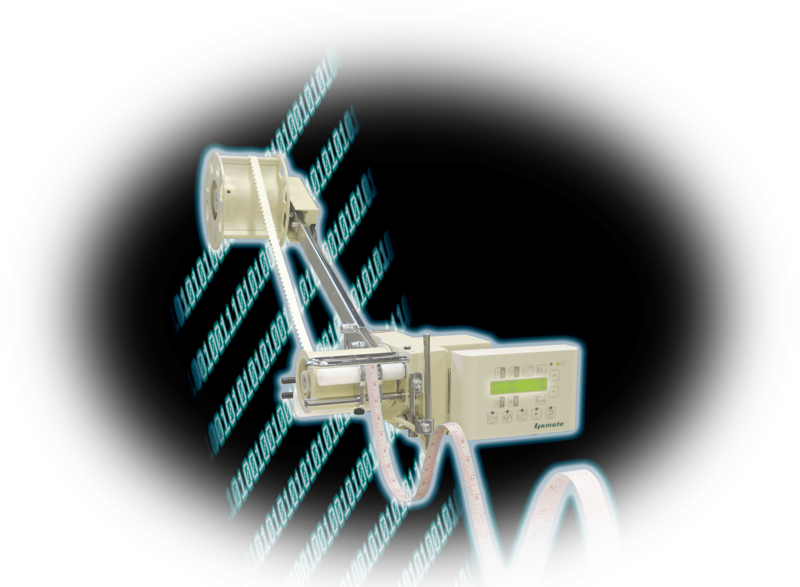 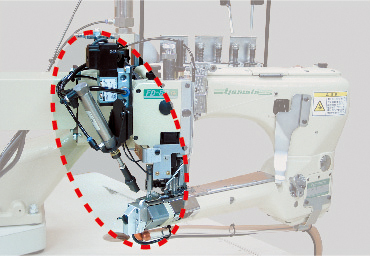 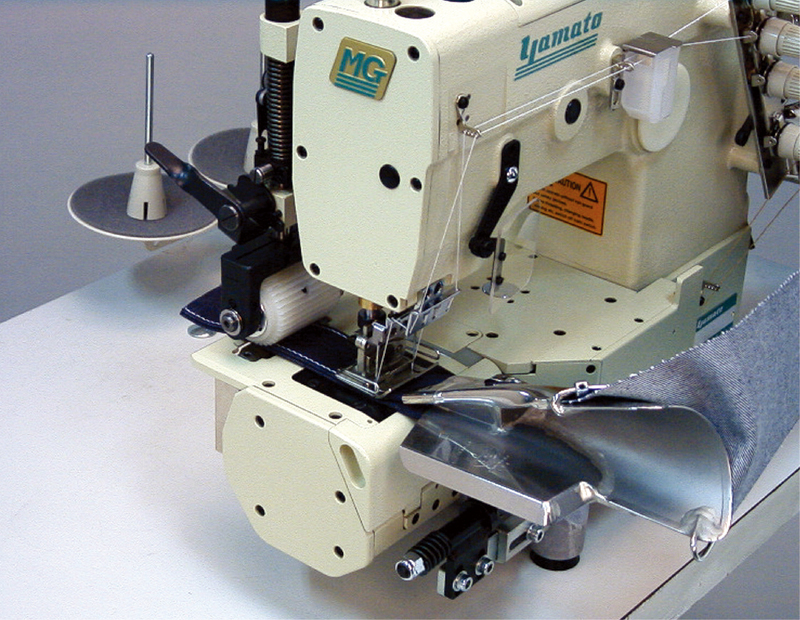 With the optional UT-A50T device, manual thread trimming operation can be eliminated thanks to the short cut thread trimming function reducing remaining thread tail by 2 to 3 mm. 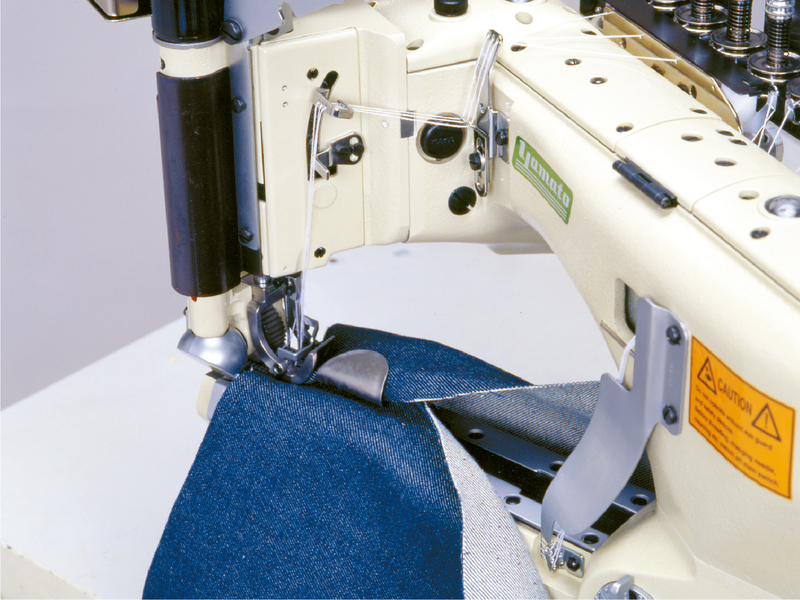 DT-30 is designed for felling operation of heavy weight garments such as denim pants, denim jackets, working wear, and etc. 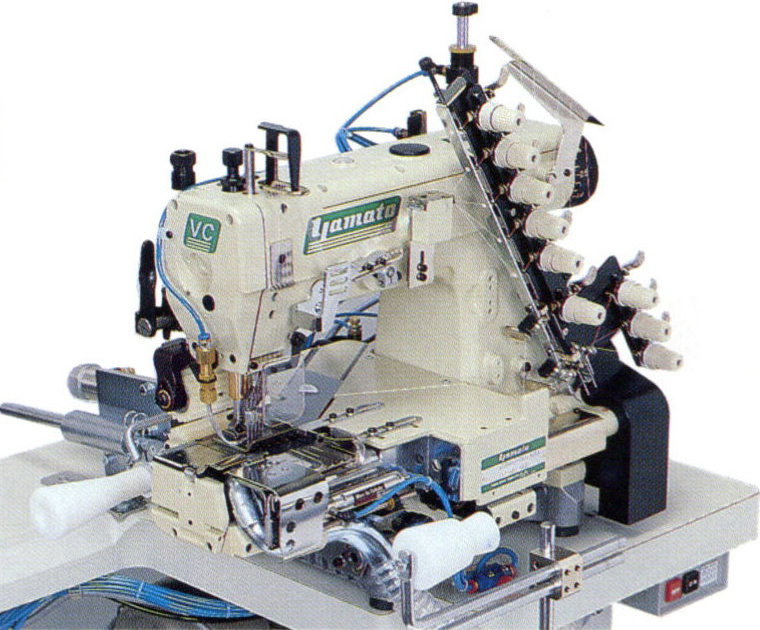 Yamato DT-30 ensures twist-free beautiful finish even on very thick part like crotch seam of denim pants and strongly supports your improvement in productivity and quality. 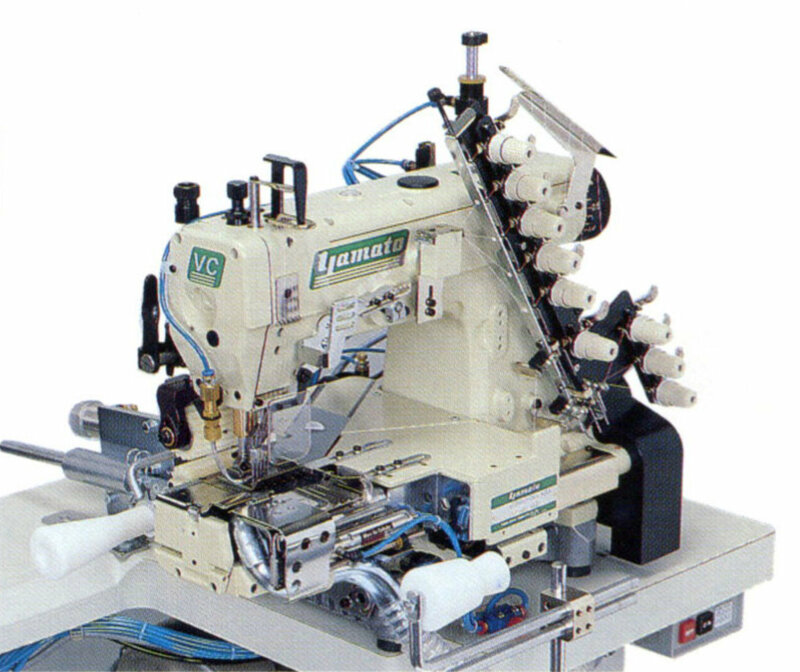 Yamato MG series is 2, 4 Needle Double Chain Stitch Machine with Needle Feeding for Attaching Waist Band, as One of the Most Important Process of Manufacturing Jeans. 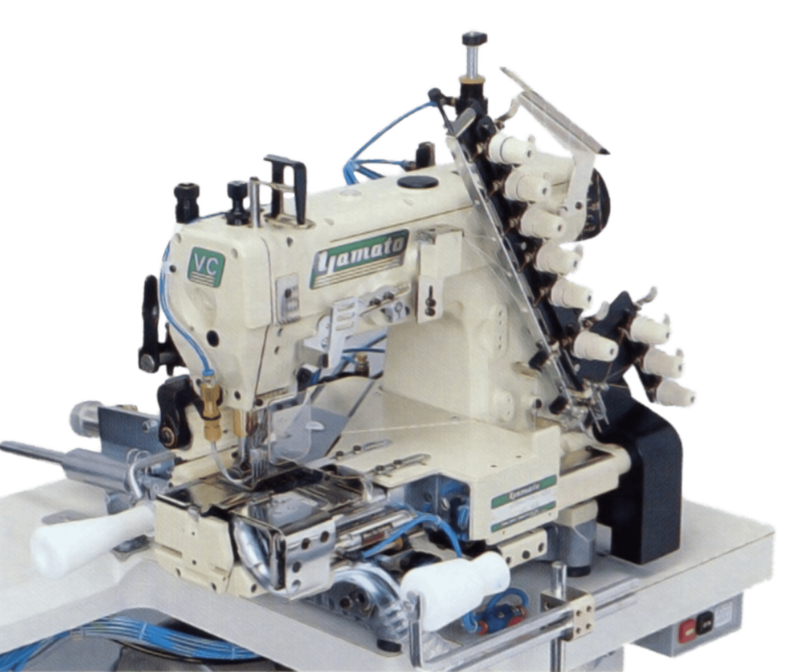 It offers good feeding performance for heavy weight material thanks to the needle feeding mechanism. 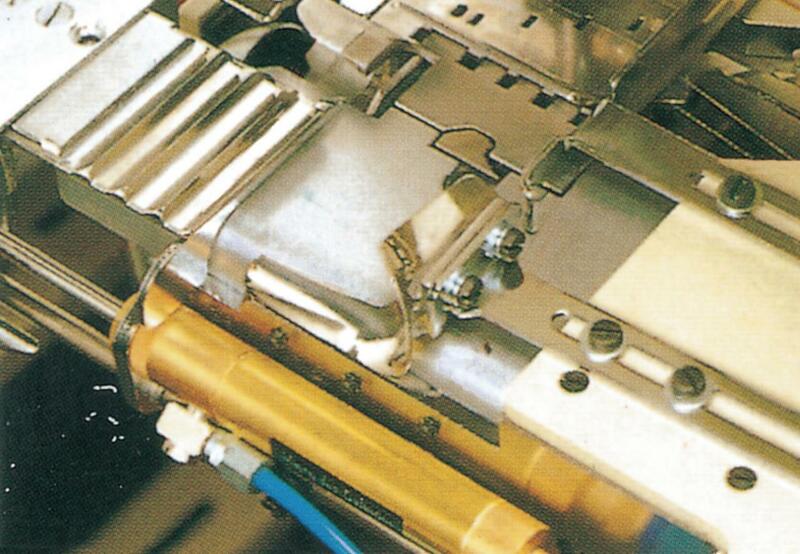 Compensation type puller enables to correspond different thickness of material. 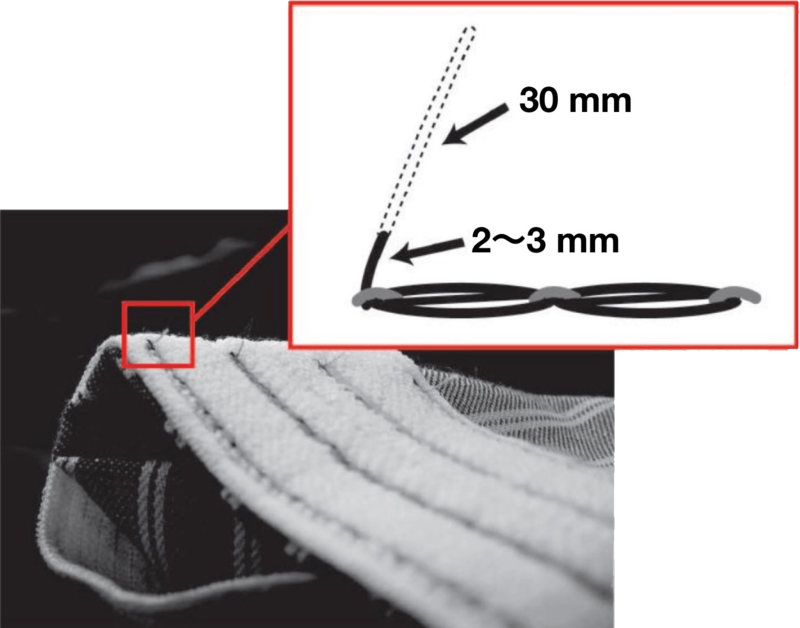 The series lines up a curved waist band ready model to improve fitness. 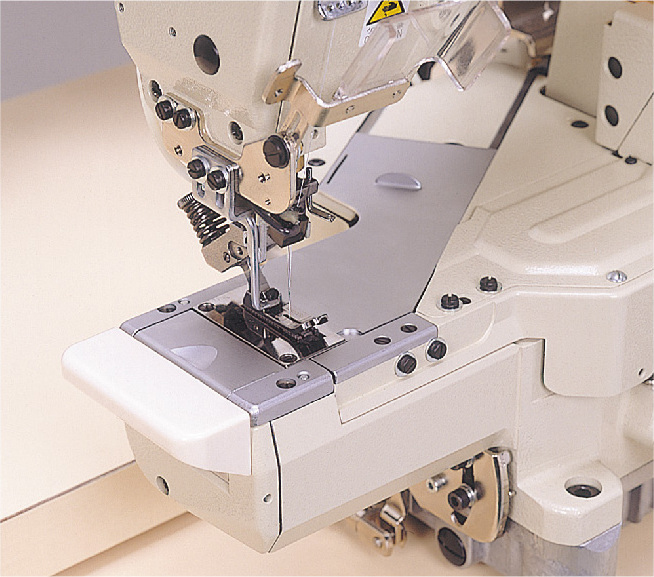 VM series Cylinder Bed, Looper in Line Feed, Double Chainstitch Machine is For Attaching Woven Elastic Band at the Waist of Jogging Pants and etc. 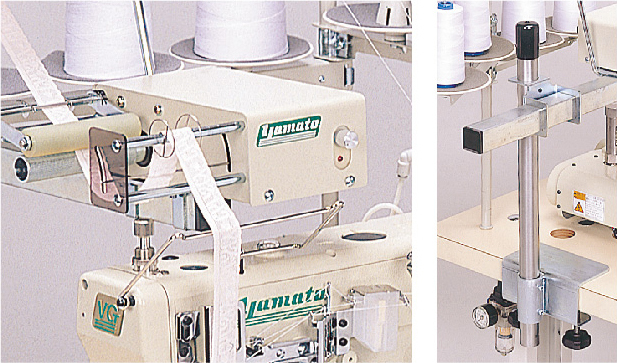 Yamato offers a wide array of double-chain stitch machines for various applications including Top Stitching of Display Tape, Attaching Tape, for Lap Seaming on Jeans, Serging and Attaching Pocket Facing, Binding Tape on the Edge of Pocket Bag.